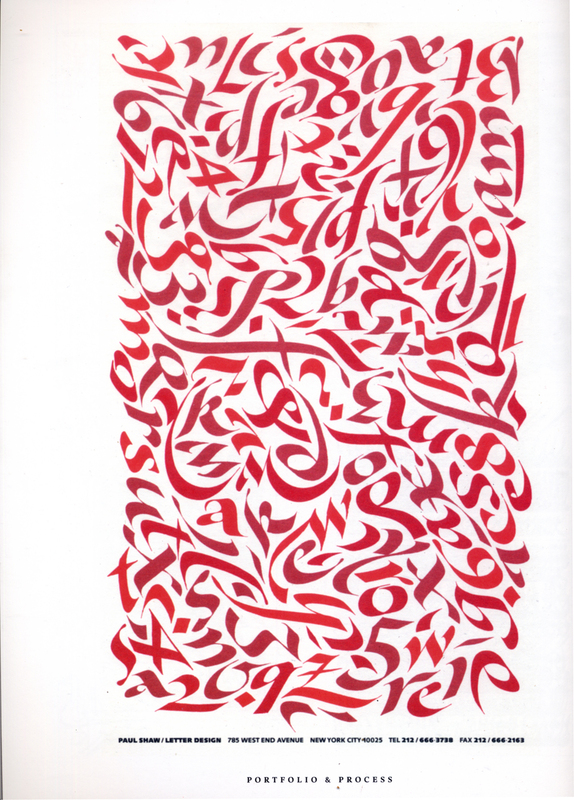 Gestalten has just published Hand to Type: Scripts, Hand-Lettering and Calligraphy edited by Jan Middendorp. My work is included on pages 196, 220 and 221. It is always an honor to be included in such a book, but disappointing when one’s work is not reproduced well and there are mistakes in the text. Complaining seems churlish. But here goes anyway. 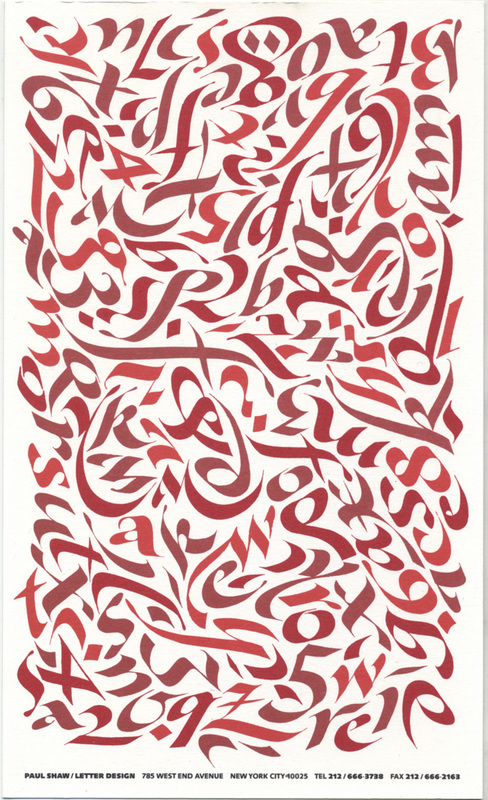 “Carpet page” promotional card as reproduced in Hand to Type (2012), p. 220. “Carpet page” promotional card (1993). Printed by Studley Press. My letterheads with calligraphy in reverse on the back (so that it shows through as a ghost image) are, admittedly, hard to reproduce (p. 221). But the difﬁculty is compounded by reducing them in size and not providing a holding line or other element to separate them from the whiteness of the book page. Finally, the tool listed for the “Thanks” and “Danke” images (p. 221) is not a Brause 4mm nib but a pen made from a cat food tin and a pair of chopsticks. I suspect the mistake here came from miscommunication in which I was asked to provide information on several of my works submitted, some of which were done with a Brause 4mm nib (such as “Bedankt”), but not told which ones were going to be in the book. 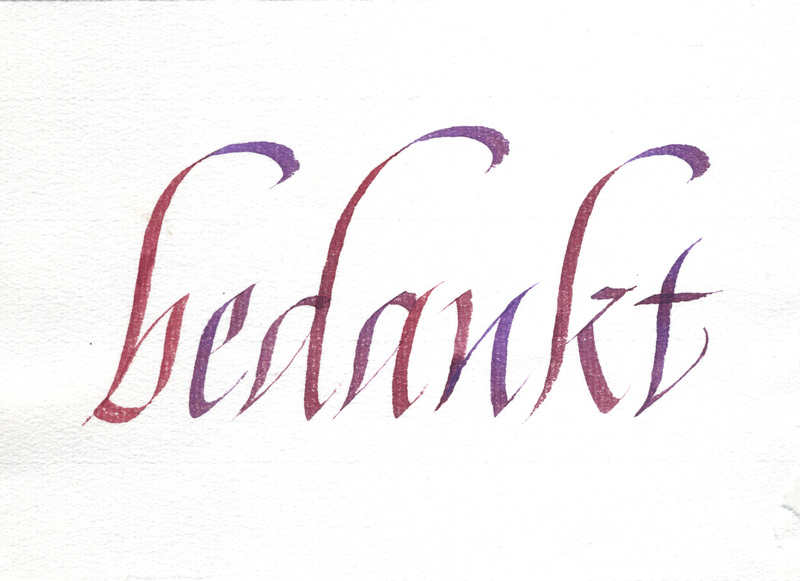 “Danke” was in an email along with “Bedankt” (see below).